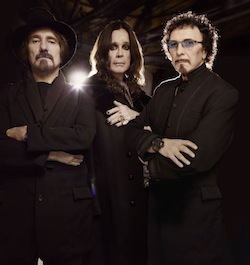 The deluxe version of Black Sabbath’s new album 13 is available for streaming at itunes. 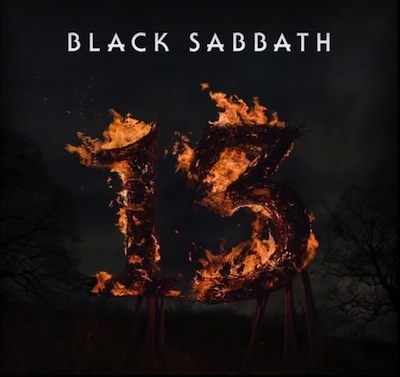 Black Sabbath’s 13 will officially be released on June 11th. Only the first eight tracks are being streamed through iTunes. The three deluxe edition tracks are not included. It’s still a damn good album though. Can’t wait till June 11.
yeah, I thought it seemed short. The tunes are absolutely incredible though!!! It’s like an updated version of classic 70s Sabbath without sounding predictable. I don’t know how they did it. It is amazing to me that after 40+ years Tony Iommi can still play like this!!! I have listened through this CD (1st 8 track anyhow) and I think this is a really solid CD! Can’t wait to get the Deluxe Edition that I pre-ordered. FYI – Best buy is offering a “best buy exclusive” deluxe edition with yet another bonus song unavailable elsewhere “Naivete in Black”…12 tracks total. Ugh, I hate when bands do this…just put it all in one place! It makes me think there may be one more bonus track somewhere ( would = 13!) anyone hear anything?